Do some of the recent news stories about real estate investing slowing down got you, well, down? Never fear investor- opportunities still remain. Where are they you ask? Look toward your local lending location. That was five years ago. The real estate market has improved quite a bit since then, but opportunities remain. If you’re still looking for the real estate deal of a lifetime, the first place to look is still your local bank. That’s right, the best place to to find investing deals after all this time is still bank owned property. There is fresh data from the banking industry clearly demonstrating that values can still be found investing in foreclosures. And there are still plenty of foreclosures everywhere you look. The entire real estate market continues to improve overall as the markets hit hardest in the crisis are now bouncing back and then some. Did you know that every quarter, U.S. banks are required to file a financial report with regulator? It is call the “call report.” This report includes a full breakdown of the bank’s income, expenses, profits, and its balance sheet. This data helps us in the industry get an over all picture. Before the housing crisis, about 0.05% of banks’ assets were bank owned property. This number topped out in 2010 at 0.40%. That is a lot of property to move. 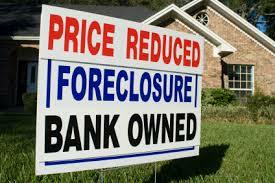 And think about it; banks don’t want to own all those foreclosures. That is why it is good for us as investors to relieve them so to speak of the properties. 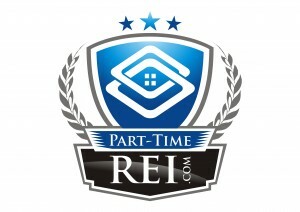 They are not in the business of owning real estate; but we are! To them, owned real estate is an expense, not the earning asset that flippers can turn it into. See banks know that the properties they own must be maintained. How many bankers do you know want to cut the grass, make improvements and pay property taxes? Not to mention that since banks have to hold reserves on these “assets” it affects their bottom line profits. This can sometimes total into the million dollar range. Bank CEOs don’t like assets that affect their bottom lines. So in reality, the faster the bank can sell off these “assets” the less it will affect their bottom lines. This is good news for investors looking for deals on foreclosure. Everyone wins! It is always a great idea to check with your local community bank not only about financing but also to inquire about any of their bank owned properties. This is the easiest place to find deals in your farm area. 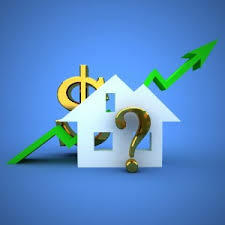 These banks will be willing to negotiate with you on the price and help with the rate on financing the purchase. Bottom line is deals are absolutely still available — as long as you know where to look. Your local Chamber can help you with aquiring a list of local banks in your community.